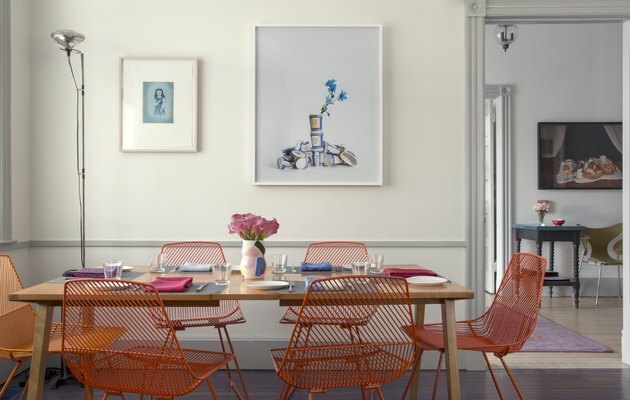 What do you get when two painters team up on a hotel project in New York's Hudson Valley? Colorful works of art. A purple staircase. Tomato-red dining chairs. "It's always been a hotel and a restaurant in some capacity," says Janett Pabon, Hotel Tivoli's general manager. The 1910 building, located in Tivoli, New York, was bought by Helen and Brice Marden, who fell in love with the village (population around 1,000) in 2001 and have spent time there ever since. The 10-room hotel (plus one suite) welcomed its first guests in 2014. "The Mardens wanted to help protect it from growing dark," says Pabon. "They wanted something bright, light, clean, playful, and fresh. They basically kept the same footprint, just brightened up everything." To that end, an exclusive paint color called Brice Gray — created by co-owner Brice Madden — was used on Tivoli's walls. "Some of the old pieces of furniture were kept, but brightened up with color," says Pabon — coats of glossy paint gave the antiques left behind a new lease on life. The rest of the furnishings come from varied sources — the couple's personal collection, local shops, as well as big-name places like Design Within Reach. 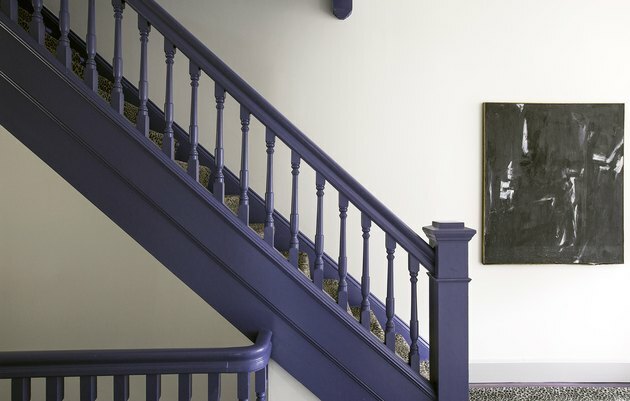 Repainting the staircase in a soft shade of purple created a welcoming entry while also hinting at personality within the hotel's other rooms. One of Brice's works of art hangs adjacent. 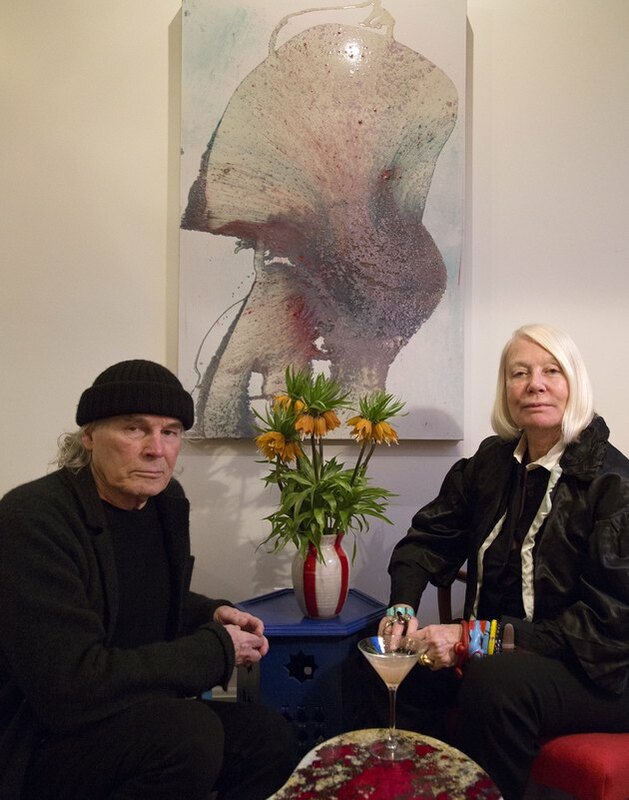 Both painters, Helen and Brice Marden tapped into their artist connections, as well as their personal collection and even works of their own, to stock the 10 rooms and The Corner (the hotel's restaurant). Hanging above the couple is a piece by Helen. A pink Parsons bed frame from Room and Board is a fun surprise, paired with pink-and-white striped pillows and black-and-white art, with furnishings painted red and turquoise. Helen's Moroccan rug collection covers the floors of many rooms, including this one. 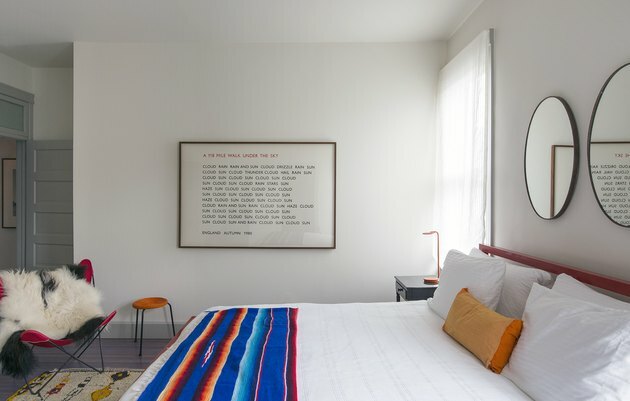 Round mirrors above the bed give the room a larger feel while a sheepskin slung over the red butterfly chair and a Mexican blanket on the bed allude to global travel. The text-driven artwork is by British artist Richard Long. 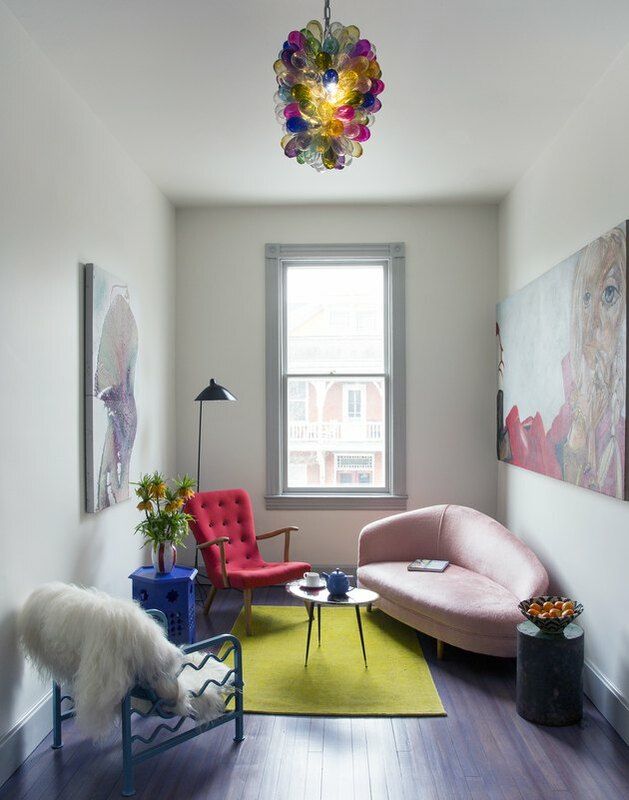 This cozy, eclectic nook with its pink chaise and canary-yellow rug is a great spot for sipping tea or chillaxing with a good book. One of Helen's works hangs on the left wall. Opposite is a work by Francesco Clemente. 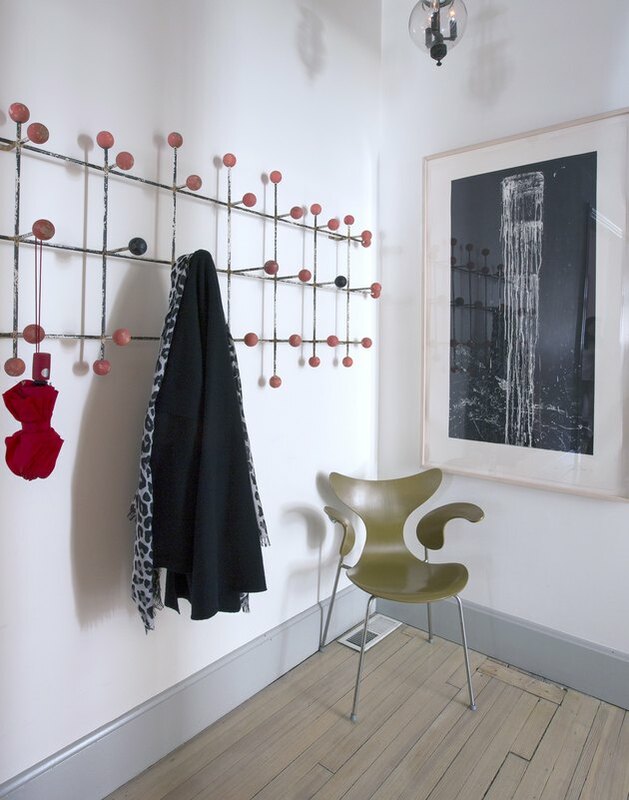 A whimsical coat rack is the main focal point in a bedroom, while a simple chair in an earthy hue is also a spot to rest a bag or sit while removing one's shoes. In a bathroom, petal-pink wainscot contrast with black-and-white wallpaper from Hermès.